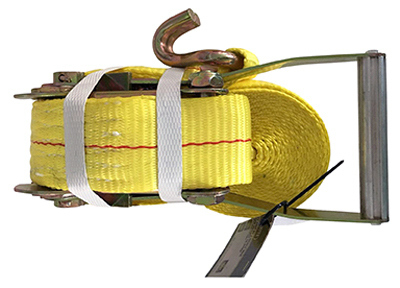 This ratchet tie-down is rated at a 10,000 lb capacity with a 3,333 lb working load limit. Long, wide ratchet handle for more tension. Double J hooks. No mixing required. Easily removes road grime, film and bugs. Excellent for all season use. Aids in melting frost, snow and ice. Camco, gallon, -50 degrees, easy going, RV antifreeze, 100% propylene glycol formula, ideal for trailers, boats, mobile homes, cottages, swimming pools, RV's. Safe for fresh water systems, provides burst protection down to - 50 degrees Fahrenheit, -46 degrees centigrade. Use full strength, no mixing required, odorless & tasteless, all ingredients are listed in US federal register. 2,000 lb. GVWR mesh floor trailer. Empty weight is 425, payload capacity is 1,575 lbs., Tire size 12 inches, Flor type is mesh and Gate/ ramp WxL 46 inches by 38 inches. Dee Zee Tool Box - Blue Label (Commercial Grade) Single Lid Crossover. Constructed of heavy gauge Brite-Tread aluminum. Large push button with self-adjusting latches. Hidden hinge, gas shocks, Alumaguard strengthening channel, and adjustable strikers on a hat style lid. Removable plastic tool tray to help keep small items organized. Dee Zee Tool Box - Blue Label (Commercial Grade) Single Lid Crossover. Constructed of heavy gauge Brite-Tread aluminum. Black-Tread powder coat, provides a gloss black finish while it protects and prevents oxidation. Large push button with self-adjusting latches. Hidden hinge, gas shocks, Alumaguard strengthening channel, and adjustable strikers on a hat style lid. Removable plastic tool tray to help keep small items organized. Chromed plastic badge is new for 2015. Push button latches are ergonomically designed for minimum force opening. Self-adjusting strikers ensures box closes tightly no matter how hard you push down. Dampened gas shocks means lid opens at a steady, controlled rate. Full length hidden piano hinge for extra strength. Automotive grade rubber bulb seal helps keep the elements out of the box. Removable tool tray is perfect for keeping smaller items organized. 3 piece body – front, back and bottom – all one piece for increased body strength. • L: 20.5 in x W: 8.5 in x H: 18.875 in | Vol: 1.9 cu. ft.
Dee Zee Tool Box - Wheel Well Box. Adds storage while leaving your bed open for hauling cargo. Constructed of heavy gauge steel. Contains four sliding drawers. Lockable door keeps contains safe. Fits 6 ft and 8 ft bed pickups. Dee Zee Tool Box Accessories - Upgraded mounting kit for crossover toolboxes. Provides a larger clamping area to better secure boxes. Made from strong 6000 series aluminum. Fits all makes and models of trucks. Can be used with cargo management systems. Sold in pairs. Dee Zee Tool Box Accessories - Vented Gas Cap. An exact replacement of the gas cap that comes with all Dee Zee tanks. Vented to alleviate pressure from vapor build up. Comes with vented cap and neck. Dee Zee Tool Box Accessories - Replacement Latch. A stainless steel, locking latch. Use as a replacement for Dee Zee tool boxes. Comes with keys, weather resistant gasket and rivets for installation. Latches may optionally be installed with bolts and nuts (not provided). Dee Zee Tool Box Accessories - Replacement Lock Cylinder. A replacement lock for Dee Zee tool boxes with paddle handle latches. Comes with a pair of keys. Simply unscrew the existing lock cylinder, pop out, insert and align new lock cylinder, and attach with new screw nut.